Dian Spear is the Southern Africa lead for ASSAR. This includes oversight of the design of the research in Namibia and Botswana, responsibility for supervision of the research and the researchers, and for overall analysis and writing of research reports and papers. She is also involved in cross-consortia research activities, especially with respect to synthesis and comparative studies across the regions, in partnership with senior researchers leading the other regional research programmes. Prior to joining ACDI, Dian worked as a Climate Adaptation Specialist for the United Nations Environment Programme in Afghanistan and developed Global Environment Facility (GEF) projects at C4 EcoSolutions. Dian has a BSc Honours in African Vertebrate Biodiversity (Rhodes University), an MSc in Conservation Biology (University of Cape Town), a PhD in Zoology (Stellenbosch University) and four years of post-doctoral research experience in global change. 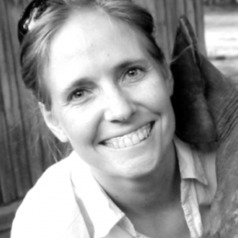 Dian's previous research has focused on applied conservation science to inform management and policy regarding the human-aided movement of species.